Ansa McAl group chairman Norman Sabga. “This particular year we have had serious problems getting foreign exchange…We buy foreign exchange from all the commercial banks and are not getting the supply we got in previous years and unfortunately it has had an effect on our business,” group chairman Norman Sabga said at a stockbroker’s meeting yesterday. While the company does have several operations throughout the region, including the US, Guyana, Grenada, St Kitts and Barbados, Sabga said the earnings from those enterprises are repatriated to Trinidad in the form of dividends, and most of the profits are otherwise re-invested in the respective operations. 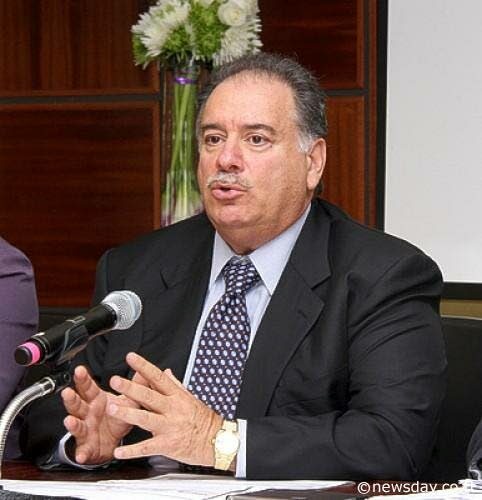 Those dividends, he added, are not sufficient to support the core business in Trinidad. The company published its financial statements for 2018 yesterday, recording a five per cent increase in overall profit before tax than the year before. Revenue for the group, the region’s biggest conglomerate, was $1.8 billion, while profit before tax was $267 million, compared to $231 million in 2017. The company also had $62 million in one-off impacts from natural disasters in Trinidad (insurance claims) and debt restructuring polices in Barbados. Ansa is also the parent company of Guardian Media Ltd, which recorded a nearly $1 million loss for 2018. While the company’s multimedia segment made a $1.5 million profit, the print section made a $2.5 million loss. The company is also expecting to announce some new ventures over the next year, but Sabga said he was able to confirm the company’s investment in a wind farm in Costa Rica just needs approval to be signed off by the relevant authorities. The company on Wednesday signed off on the acquisition of Trinidad Agro Products, he added. While the company is expanding into clean energy, Sabga was adamant that, despite claims otherwise, fossil fuel energy was not among the company’s area of expertise and it has “zero” interest in getting into that business. Reply to "Forex crunch hurting ANSA"